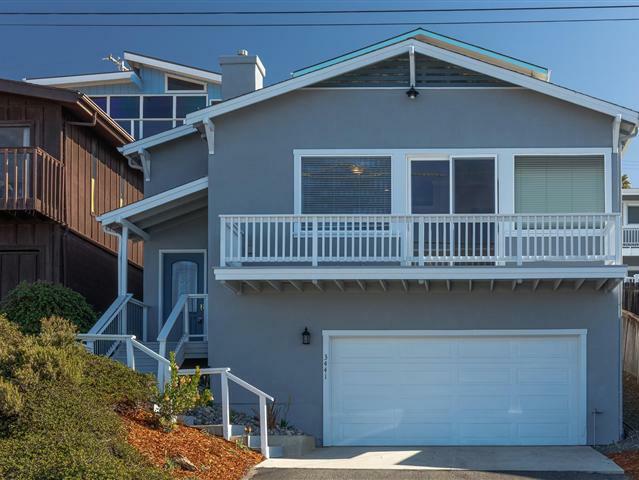 Enjoy ocean and Morro Rock views out of the living room window and front deck of this very nice 3 bedroom 2 bath app. 1560 sq. ft. Cayucos home in very nice condition. Newly painted inside and out as well as new carpet. Stucco exterior, tile entry, ez care landscaping and more.